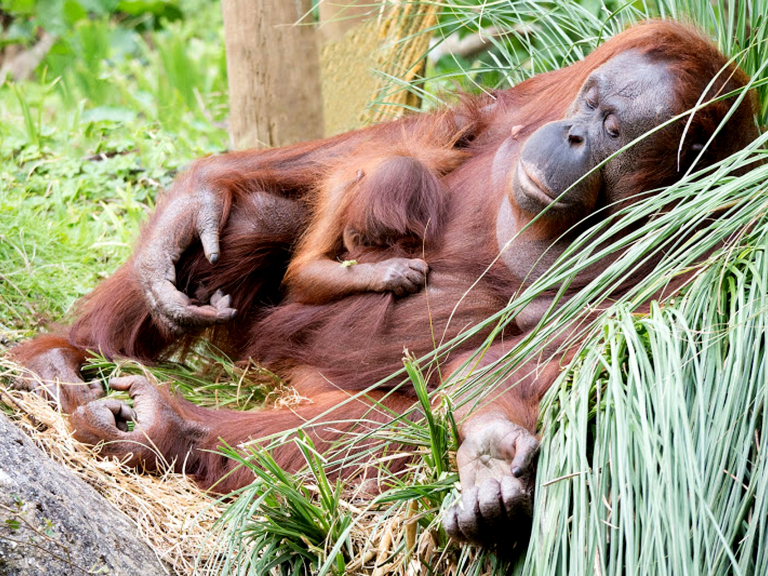 Ray Wiltshire, from Paignton, took the award with his picture, Forty Winks, showing Bornean orang utan mother Mali and baby Tatau asleep on their island at Paignton Zoo. The British and Irish Association of Zoos and Aquariums (BIAZA) announced the winners of its annual photography competition sponsored by Wildlife Vets International at an award ceremony hosted by Woburn Safari Park. There were 63 entries, with shots conveying life in a BIAZA collection, work behind the scenes and zoo conservation work around the world. The competition is open to staff, members, and volunteers of BIAZA zoos and aquariums and is judged by two BIAZA representatives and two external judges on technical quality and aesthetics. There were four categories; Ray won the Threatened Species class, where the winner was selected from entries to all the other categories. Paignton Zoo Environmental Park is a registered charity. For more information go to www.paigntonzoo.org.uk or ring 0844 474 2222.